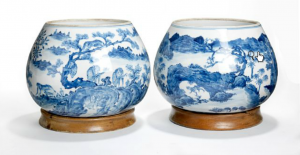 Reading the symbols of Chinese Art | What is it worth? We decoded the meanings of traditional symbols in Chinese Art through the objects featuring on Mearto. The phoenix is the ‘king of birds’ and symbolizes good fortune and opportunity, because it is believed to appear only in times of peace and prosperity. The phoenix is a warm-hearted bird since it does not harm insects, and each of its body parts represents a virtue: benevolence (ren 仁), righteousness (yi 義), propriety (li 礼), knowledge (zhi 智) and sincerity (xin 信). The phoenix is also the symbol for the empress and when it is shown with the dragon, which stands for the emperor, it symbolizes the perfect marriage. The Chinese dragon is the ultimate symbol of the cosmic energy (qi 气) and the most powerful symbol of good fortune. Unlike other cultures, according to Chinese mythology, it is a benign creature, which often lives in seas, rivers, lakes or clouds. It ranks first among mythical beasts with powers like bringing rain to dry lands, which also represents abundance and relief. The dragon is often used as an emblem of high rank and power on the robes of emperors and princes as well as on imperial art objects. Also a symbol of male power and fertility, the dragon symbolizes the Emperor, the Son of Heaven. 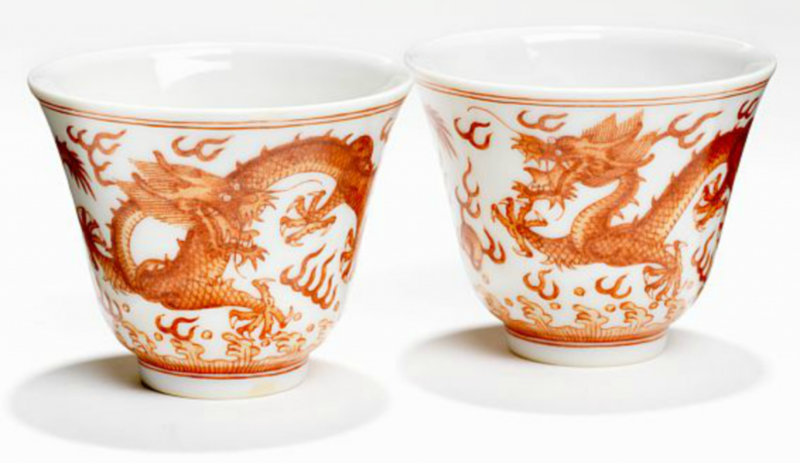 As in these two elegant wine cups above, Chinese art often depicts two dragons playing in the clouds with a ball or a large pearl, which is the pearl of supremacy. 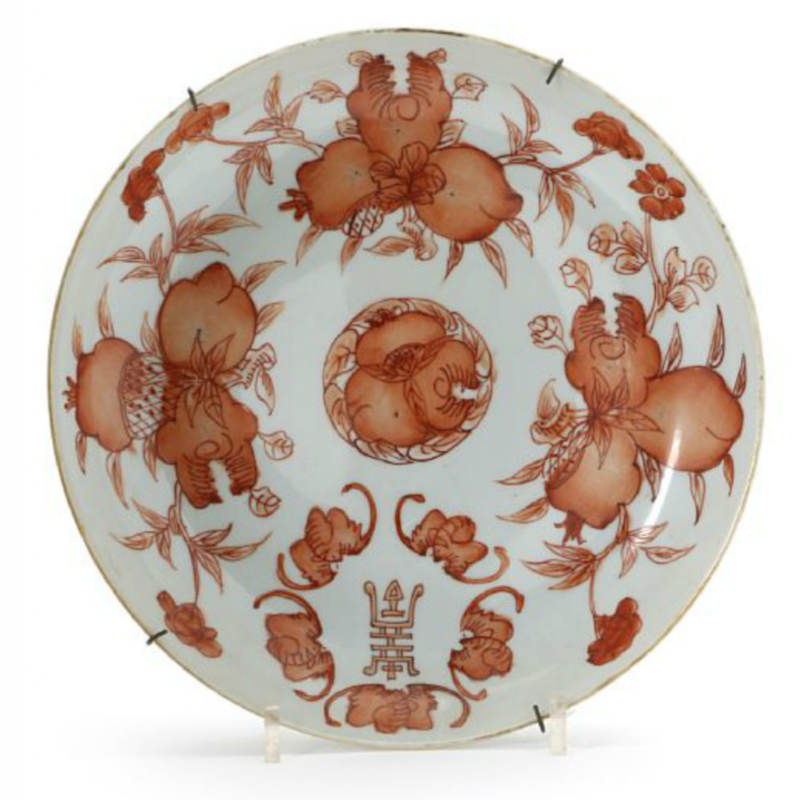 A Chinese porcelain dish decorated in iron-red with peaches, bats and longevities. Guangxu mark and period. Diam. 25 cm. The bat is a symbol of happiness and joy. The Chinese for bat (fu 蝠) sounds identical to the word for good fortune (fu 福), which makes bats a popular rebus in Chinese art. Five bats together represent the ‘Five Blessings’ (wufu 五福): long life, wealth, health, love of virtue and a peaceful death, which are all depicted on this porcelain dish. Another popular symbol depicted on this dish is the peach, which symbolizes longevity along with the venerable God of Longevity, Shoulao 寿老. The peach is a symbol of immortality, said to have grown in the orchard of the Queen Mother of the West (Xiwangmu 西王母). Lion according to Chinese culture is the king of beasts and symbolizes power and good fortune. 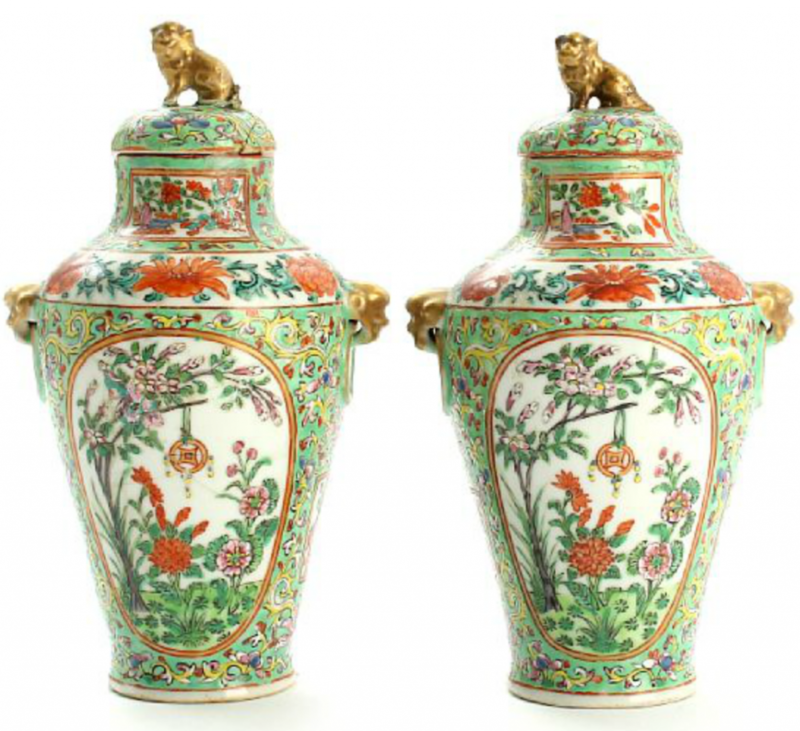 Pairs of lions are more popular than even dragons as guardians of important buildings and temples. In Buddhism, lions are the defenders of law. Where ever Buddha sits is called the Lion Throne and also, the voice of Buddha is called the lion’s roar. Lions can also signify good luck for advancing in one’s career. In the Western world, deer is associated with Santa and Christmas. 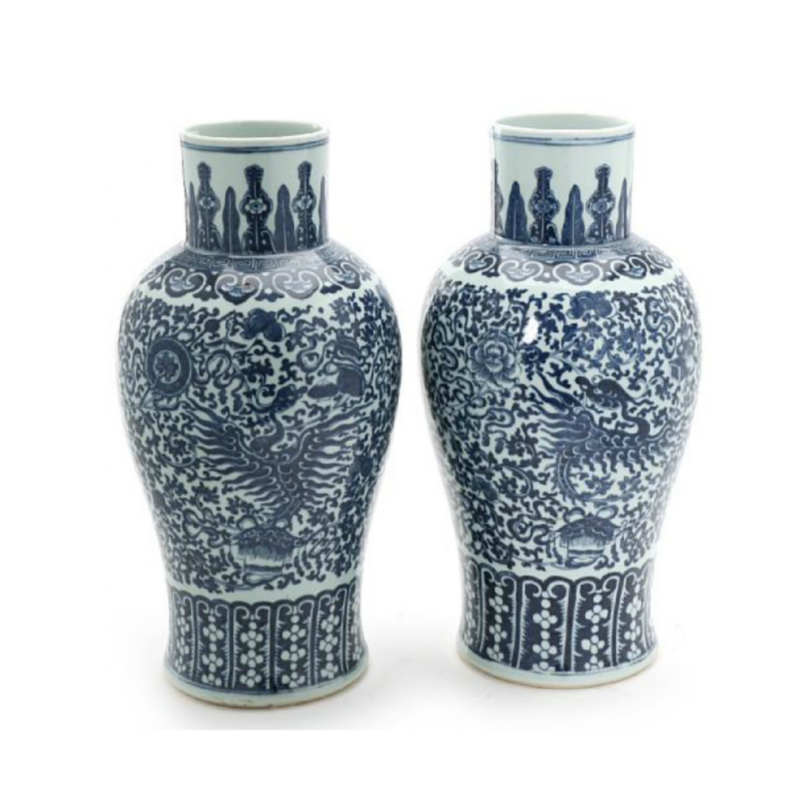 However, in Chinese culture it is another symbol for longevity, known for its endurance, grace and long life. Deer is often affiliated with immortality. Moreover, the Chinese word for deer is (Lù 鹿), which sounds like the word for income “lu”. Thus, a deer can symbolize a long life with good income. Sometimes the deer is depicted with court officials; it is said that this signifies a wish for fame, recognition and a long, successful career. The antlers of deer was used in the Traditional Chinese Medicine for over 2000 years. Deer antlers are believed to nourish the yin forces in the body, aid kidney function, invigorate the spleen, strengthen bones and muscles and promote blood flow. Tiger is an emblem of dignity, ferocity, sternness, courage and powerful Yin energy. It is a solar animal, close to summer, sun and fire. 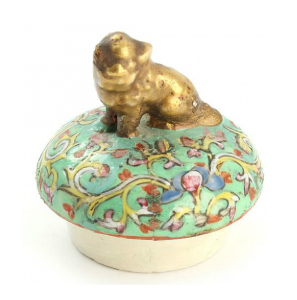 The image of a tiger is often sewn on clothing or used in home decoration to ward off harm and assure safekeeping. 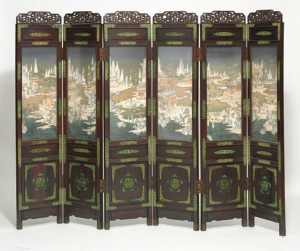 In an ancient Chinese myth there are five tigers that hold the balance of cosmic forces in place and prevent chaos from collapsing into the universe. Moreover, in some ares of China, the tiger is often associated with the God of Wealth “Tsai Shen Yeh” and the God is depicted riding a tiger. The monkey symbolizes cleverness and many in China try to give birth in the year of The Monkey because they believe these babies will be more clever. Also, the Chinese character “猴” (hóu /hoh/ ‘monkey’) is pronounced the same as “侯” (‘high official’), and the association dates back thousands of years. The imagery of the monkey as nobility often appears in ancient paintings. The monkey also represents a protecting god. They can be depicted as the protectors of children, travelers or horses. A stone-carved monkey with a red thread on its tail is often displayed on the kangs (heated stone beds) used for babies. A monkey statue was carved on top of each mooring post at each ferry crossing of Sanmenxia and Shan County. It was said the monkey statue would bless both the men and the boats with a safe journey.